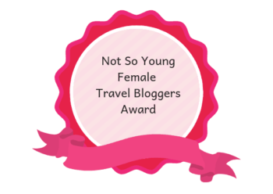 Today’s guest post is written by Danny of Coddiwomp Travel. Danny is based in the UK , he hasn’t ditched his day job yet but he’s working on it . Coddiwomp is a blog for first time travellers and Danny wants to inspire people to live fully. That said, whether you’re going alone or with a travel buddy, there are a few that I think simply shouldn’t be missed. Keep reading to find out which they are! 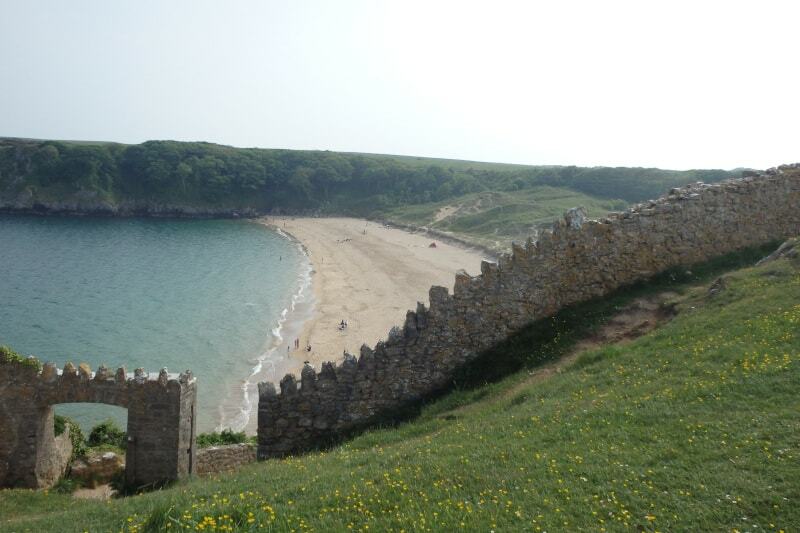 You’re spoiled for choice when it comes to Pembrokeshire beaches. There’s over 50 of them in total. 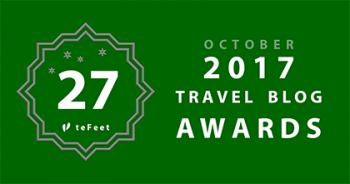 And according to Visit Pembrokeshire, almost all have won awards. It’s easy to understand why Pembrokeshire claims to have the best beaches in Wales. Honestly, I’d argue that they have some of the best beaches in the entire world. Which is why it’s so difficult to recommend just a few of them for anyone thinking of seeing some for themselves. That said, there are definitely a few that I think simply shouldn’t be missed. Keep reading to find out which they are! Here are 7 of my favourite beaches in Pembrokeshire that I believe anyone should visit if they have the chance. I’d feel amiss if I started a post on the ‘best beaches in Pembrokeshire’ with one other than Barafundle Bay. After all, it was voted one of the best beaches in the entire world in 2004. And from then it’s gone on to receive all manner of other accolades. And I’d say they’re all well-deserved. Approximately half a mile’s walk away from the car park where you pull up, the effort to access Barafundle lends it a level of charming seclusion that it would otherwise most certainly lack. Upon arrival you find yourself on an untouched stretch of crescent-shaped sand, protected on both sides by headland. It’s the ideal setting to spend the day, revelling in a space that somehow maintains its magic in spite of its notoriety. If you have one beach to visit in the whole of Pembrokeshire, it’s arguable that this should be the one. Not to be confused with ‘Broad Haven Beach’ (and ‘Little Haven’ just next door) to the north west- a well-known and loved beach in its own right. The Broadhaven beach I’m talking about is in Bosherton. Broadhaven beach is one of many sumptuous stretches of coastline along the Pembrokeshire Coastal Path. Run by the National Trust you can park in the car park there, before taking the few steps down to the beach. Crescent shaped and protected by headland at either end, this is a popular spot for local (and foreign) water lovers, who come to swim, go coasteering and generally get out on the water. Beautiful is a word I’m sure I’ll overuse in this piece, but it’s difficult to overstate the beauty of Broadhaven. Sheltered white sands. Perfect water. Rocky outposts jutting up in the distance. It’s picture perfect. And if you’ve made it to Broadhaven Beach you should definitely make the short trip to St.Govan’s Chapel, just to the south. This understated, but magical place is steeped in history and legend. Set just down from the coastal path, you’ll find the tiny chapel at the foot of a stone staircase. It’s a special sight that you should think twice about missing. Of the seemingly endless number of beaches I had the pleasure of visiting during my time in Pembrokeshire, Monkstone Beach was my favourite. And with such a giant selection to choose from, that’s no small statement. 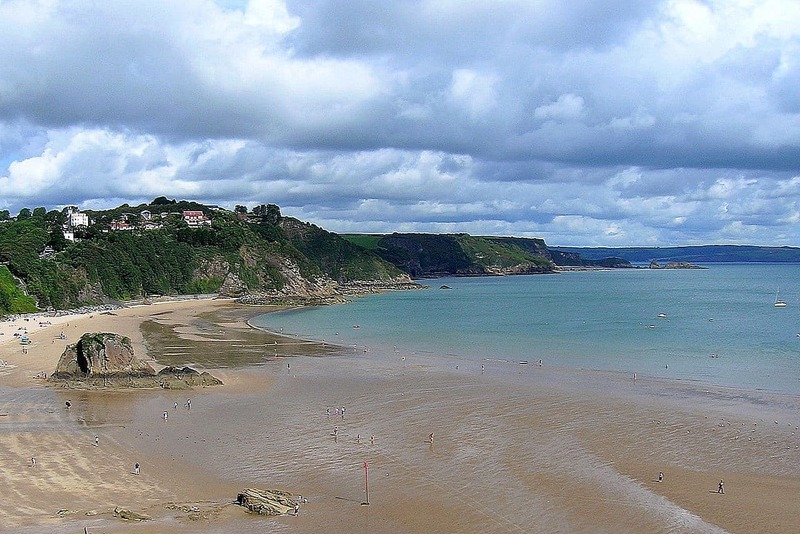 It’s just south of the popular harbour town of Saundersfoot, away from the bustling holiday atmosphere there (though connected by a short coastal walk). Starting inland (adjacent to the lovely Trevayne Farm campsite) you descend to the beach through a steep forested area that opens up to a wondrous stretch of secluded coastline. The atmosphere was different here. Bordered by the dense forest at its rear, with nothing but open expanses of ocean to look out at, I felt I’d stepped into a lost world. It felt raw and untouched. At the right time of year (as with other parts of Pembrokeshire, I should add) you can spot seals and dolphins from the shoreline too! Tenby is an absolute gem of an ancient harbour town on the southern coastline of Pembrokeshire. 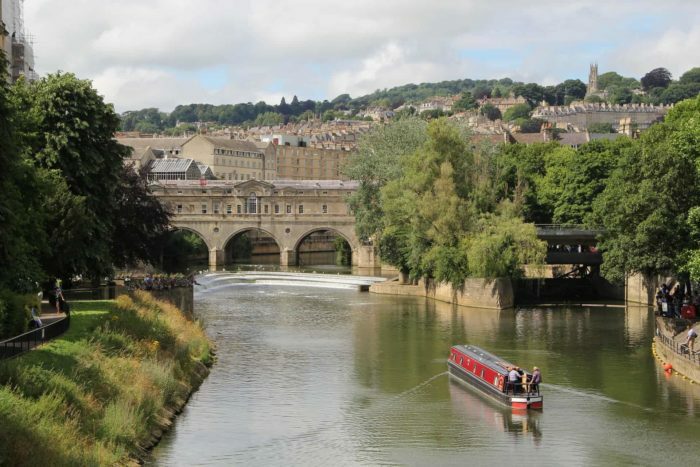 Sure, it’s jammed full of tourists and the usual annoyances that brings. But you just have to embrace it. Tenby’s an absolute pleasure to explore and spend some time. It’s a historic place, with 13th century town walls and tiny streets that weave their way through various sites of interest. Not least of these are the ruins of Tenby Castle that sit on a rocky outcrop above the beach (of which you can pay to explore at low tide). The beach itself is sort of in two parts, separated by the castle ruins. Juxtaposed with the town above them, these sandy shorelines lend a special atmosphere to a pristine harbour side town, packed with history and well worth a visit. 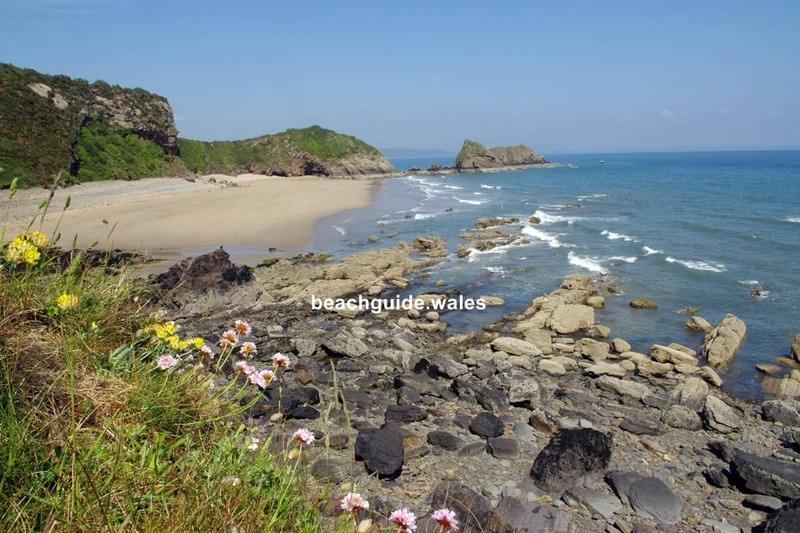 Situated on the western side of Pembrokeshire you’ll find Whitesands Bay. It’s a popular place. Even in offpeak season you’ll often find masses of tourists and locals lining the sands here. But you can’t blame people for flocking here. With white sand and turquoise waters, it’s no small wonder everyone wants a piece of it. And with an impressively low low tide, there’s plenty of room for everyone anyway. So special is Whitesands Bay that it’s hard to believe you’re still in the UK. You feel you’ve magically crossed over to somewhere like the Bahamas. And behind the beach there’s the mighty Carn Llidi- an imposing hill that juts impressively from ground. Make the easy climb to the top to revel in views of the area. If you want a taste of coastal Welsh wilderness, then be sure to head west, past Marloes and on to the National Trust car park that marks the entry point to one of the most striking parts of the country. It’s an impressive place. Atop the cliffs that descend dramatically into the waters at their feet, you wander along and gaze out over mile upon mile of open water and coastline. It’s stunning. 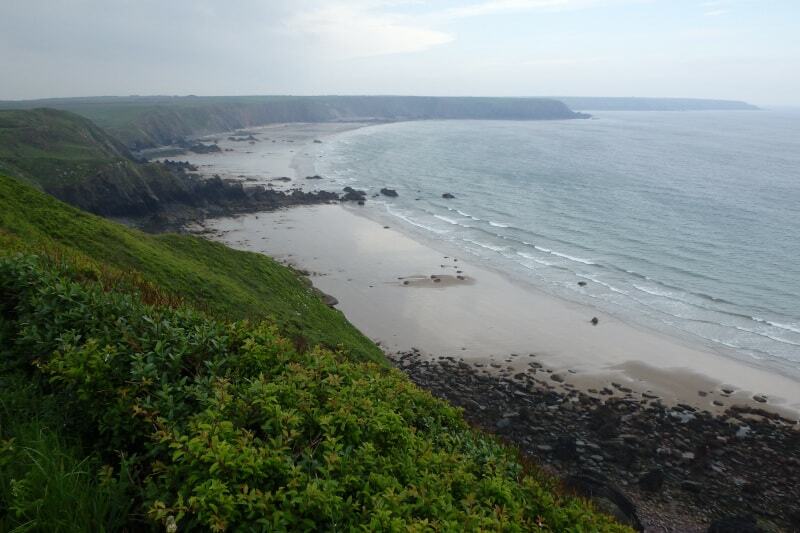 Walks here abound, but one route in particular will take you to Marloe Sands Beach. After a straightforward circuitous path around the coastline you’ll eventually descend to the beach itself. Windswept and wonderful, at low tide you’ll find yourself on wide open expanses of perfect golden sand, with sea stretching to the horizon. Join the other walkers enjoying this magical space and immerse yourself in nature in all its glory. FYI, if you’re a fan of birdwatching you can catch a boat to a nearby island from the visitor centre (near the carpark), from where you can witness rare breeding seabirds too. You’re unlikely to find this name on many other Pembrokeshire beach guides. But that doesn’t make this beautiful beach any less worthy of its position on this list. This cute little cove is an absolutely gem. You’ll find it tucked away on the coastal road just south of the better known Newgale Beach (also well worth a visit!) on the western side of Wales. The beach at Nolton Haven’s got a totally different atmosphere to many of the other inlets around Pembrokeshire. Protected on both sides by the headland, a cluster of buildings surround it, including various forms of accommodation. The vibe’s relaxed, with locals and families alike frolicking on the golden sands and glimmering waters. 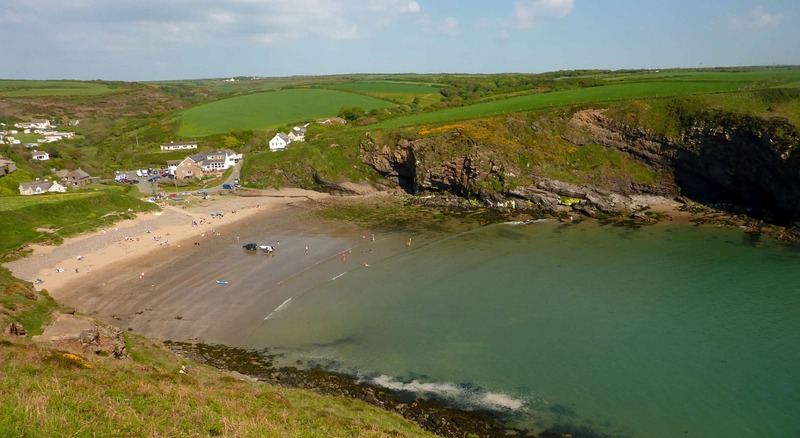 It’d also be a great stopping off point for the Pembrokeshire coastal path that runs right through Nolton’s doorstep. Alongside the well-known beaches of Pembrokeshire you find an abundance of tiny coves and inlets too. You’re spoiled for choice: these picturesque places are dotted all around the Pembrokeshire coastline. And so secluded are they that they’re often yours and yours alone to enjoy. If you want to escape the hustle and bustle of better-known beaches, I wholeheartedly recommend speaking with locals and stepping off the beaten path to find these heavenly places. In this wonderful part of the world you don’t have to travel far to do so. There you have it: 7 beautiful beaches not to miss in Pembrokeshire, Wales. With 50 to choose from, it would have been easy to include far more on this list. And rest assured that any beach on which you find yourself in this part of the world will be beautiful beyond words. But these seven are undeniably special. 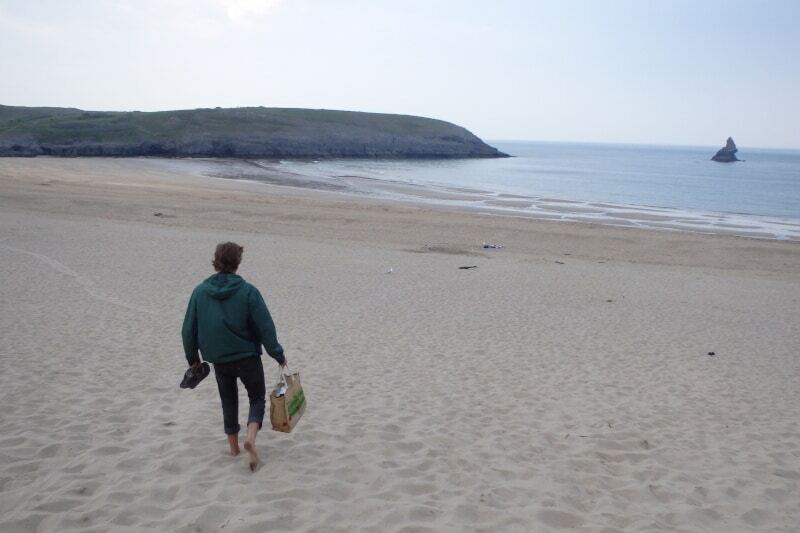 If you’re heading to Pembrokeshire, I wholeheartedly recommend you begin your beach adventures with those included on this list. Now it would be great to hear from you! Which beach do you think sounds the best? Barafundle Bay? Or maybe Monkstone Beach? Let us know in the comments which beach is your favourite!